Sweet candy!!! I luv dogs!! Going to link your candy on my side bar now. cheers for the chance to win the candy.. and good luck with your new sites...!!!! congrats and good luck on your new site and thanks for the chance to win such fabulous candy. I am already a follower and I have just posted a link on my blog. ohhh and i love elephants!! Love your candy!! I love boxer dogs, hehe, but I would seeing as I have 3 of them, I have posted a link on my blog hunihttp://mandys-cards--toppers.blogspot.com/, fingers crossed, & Well Done with the new website, its fabby doo!!!! I would love to win your wonderful blog candy :) Thanks for posting it. My favorite animal is.....Monkey or Turtle. this is a difficult one, i've got 4 cats so they are a big fav of mine but I also love Hedgehogs, they are so cute yet spikey ouch!! Website is fab and I have a list of things i'd like need some pennies first and would love to win the candy. Just need to work out how to out link on my blog. WOW Tracey, what a fantastic blog candy,I would love to win,I love your designs.Good luck with your new website.I love dolphins. Wonderful candy, have added it to my side bar. Love both cats and dogs!! My ginger girl is the boss!!! Hi Tracey, I recently found your blog and I have to say all your creations are fabulous! I have now become a follower so I can keep checking back to see what other lovelies you have made. I put link to your blog candy on my sidebar! Hummm,, favourite animal...ooh that's a hard one, I have a fluffy white cat so I love cats but then I also like polar bears! My favorite animal has been a penguin since I read Mr. Popper's Penguins in the third grade. I don't have a blog. WOW Tracey, what a fantastic blog candy your offering. Good luck with your new website. The website is great !! Do you ever sleep? You have been up to so much new cds , websites and answering my questions!! Favorite animal Hummm ..living I would have to say a penguin, I always asked for one for my birthday to live in the bath but Mum was having none of it so I got stories, fluffy toys and trips to the zoo instead.Now I take my children to the zoo and its my youngest's favorite too. Now if it was open to any animal fantasy , extinct etc I would have to say Dragon I just love them ! I have posted a link on my blog and Im a follower already. Great blog. I've posted your link to your candy on my side bar. I have blog candy too - will you post me? Great giveaway! Does birds count as animals..?? I love birds. I'm going to post about your candy on my blog now. CONGRATUALTIONS in your new site. I love cats!!! Thanks for the giveaway. Very nice Candy!!. If I won this I would have more money for Dies LOL. But I have to tell you I love your kitty cats. I would pay shipping noooo problem!!. What awesome candy to win. I dont have a personal blog yet but love visiting lots of them. I am a cat lover!! Great candy. Have linked you on by blog. Favourite animal is a cat. My Persian kitty is like a baby to me. Sweet Candy:O) My favorite animal must be tigers and turtles. I am a follower to your blog, and you are linked on my sideboard. and of course, thanks for the sweet candy! oh, I forgot to say! You have a great blog candy. Thanks so much for a chance to win. My favorite animal is panda. I'm one of your follower. Im off to look at the webshop now. My favourite animal is the tiger, but i love them all!! Congratulations on your new shop Tracy. I guess my favourite would have to be dogs, we have two, it used to be horses. I like all sorts of animals though. I posted ur link on my side bar. My blog is fairly new and I still have to get it up and running 100%. My favorite animal's r "Wolves"
congrats and good luck with your new website! Thanks for offering up such wonderful blog candy it’s so generous of you! I've linked your candy on my sidebar under the section "Blog Candy time” and now I just have to hope to win!!!! Oh, what a cute bear collection!!! Love the candy!!!! I've pic linked your candy on my sidebar. Awesome candy! I can't even begin to pick my favorite animal. Dolphins, koalas, elephants, giraffes, zebras...umm...umm...If I had to pick a more domesticated animal, I would certainly choose dogs. Hi Tracey, I love your blog & am off to have a look at your website too, have become a follower and put a link to your gorgeous candy on my blog - oh and my favourite animal is a leopard - they are just so beautiful. Hi Trak, great candy! Congrats on your new website :-) I hope it will be very successful bless your heart. I have added a pic and linked to your candy on my blog. I love chinchillas. I have a male chinchilla, is called Pimple. He is 2 years. These animals are very soft and fluffy. Very funny jump. You have a very sweet candy. 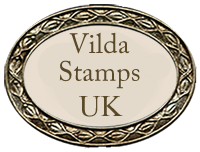 Please enter me for your draw -I'm just off now to post your link on my Candy Shop side bar. hi love your blog ...love your cards....love your candy. I love dogs i have a golden lab she is my best friend my shadow. thank you for giving mr chance to win your candy. Congrats on your new blog! You are farther along in blogland than I am... I don't even have a blog of my own but I do have e-mail and I have sent a link to your site to all my crafty gal pals! What a nice blog you have. I linked your blog candy on my blog. I hope you will have a nice day! Congrats and good luck on your new site!! And my fav animal is CAT!!! I love all cats domestic or wild. Amazing candy, I would love to win such gorgeous goodies - thanks for the chance. I will link you in my sidebar. Wow, I'm so happy I ran into your blog! I love your bears creation! Adorable!! I have to be a follower, and I've also added your blog on my blog roll! I would like to join your wonderful blog candy. My favorite animal is the dolphin! Super candy! And thanks for the chance to win! I like cats, and have one here with me. I have made a link in my sidebar. I would love to win the Candy. My favorite animal is the Bears, but I also have to say I just love the Woodland Faries. As soon as I can figure out how to put your Blog Candy on my blog I will. my favourite animal, can I have more than one favourite? I love dogs and rabbits. They are just plainly adorable. Well I've already got some of your cuties!! Oh I would just love to win this candy!! I never win anything but I keep trying lol. I love your blog! My favorite animal is mice I collect them not live ones lol. I just think they are sooo cute! I have added a link on my blog. My name is Maggie and I came across your blog site while searching for something-or-another (can't even remember what! )on the net. I live in the US and as soon as I get some $ saved, I want to get a few of your dies. They are just absolutely GREAT! I just started scrapping about a year ago, and of course I'm addicted! Before (when I was working) I had no time to scrap, but lost my job recently...so now I have time but no $$! LOL! Oh, I love all sorts of animals (I use to work for a vet) but I guess my favs are dogs & monkeys! Great blog & site you have. I don't have any sites set up yet ;( Thanks! Hi Tracy, good luck with your new web site, just found your blog, I've become a follower so I'll keep popping back. Thanks for the chance of getting the lovely candy, I'm off to post a link on my blog now, fav animal has to be the tiger. Best of luck with your new site! I have become a follower and added a link to your blog/candy on the sidebar of mine. My favorite animal is sharks, no particular species. Many thanks for the chance to win this wonderful candy! My favourite animal is dog. I have just linked your blog candy to my side bar. I love gorillas they are my all time favourite animal. My favourite animal is: Elephant. I’ve posted on my blog & added you to my blog candy sidebar too. Hope you’re enjoying the weekend. Congratulation for your new Blog! Thanks for the great Candy. My favorite animal is the house cat. We have two tabbies now. I would love to win your wonderful blog candy :) Thanks for the chance to win. My favorite animal is Owl. Sweet candy! I put a link on my sidebar. Сongrats and good luck on your new site! I've link your candy on my side bar. Yummy candy! Thanks for the giveaway. My favorite animal is cat! Hi Trak, Congratulations on the launch of your new website! I wish you the best of luck. fabby candy you are offering, thankyou for the chance to win. I have become a follower so that i can visit again and i have also linked you on my blog. My favourite animals are gorilla's i love them and could sit and watch them for hours and hours and i also adore giraffes as they have the most beautiful eyelashes lol. My fav animals are cats. I like them very much. I linked your candy at the sidebar on my blog. Hello! Wonderful candy! I linked it on my sidebar. Thanks for the chance to win! My favourite animals (birds ;) ) are parrots. :) I just love them!! Would love you to pop over and check it you!!!! Thank you for this opportunity to play for your great candy - we have heaps of animals,2 x dogs, 6 x chickens, 2 x fish, 12 budgies, 3 cockatiels and I would love a cat....I think my favourite animal would be bears...I used to collect them but ran out of room - not real ones! LOL! Cute blog and awesome candy! Thanks for the chance! I am now a follower and have linked you to my blog. My favorite animals are cats. I'm also very fond of turtles and tortoises. I added your candy to my sidebar. Have linked candy to my side bar and become a follower. BTW Great Blog, will be back often. My fav animals are cats and tigers. my fav animal is the cat!! Lovely candy. I am a follower now and I've added a link to my sidebar. I like polar bears, dogs (especially puppies) and pandas. Good luck with your new website! I blogged your candy here , I'm a follower and I collect elephants :) not in their natural size though. Hi! You have a very nice candy! Thanks for the chance to win! Have a great day! I linked it on my blog! My favorite animal is Toby my dog--I say him specifically because I don't really like dogs in general but I do love him!! hi congrats. thanks for giving this chance to win your fab candies. my fave animal is dog. Awesome candy! I have posted a link on the sidebar of my blog! Congrats on your new website! congrats and good luck on your new site and thanks for the chance to win such nice candy. i'm happy to be a subscriber! Congrats on starting your new site!! I have signed up to follow your blog and have linked your blog candy on my blog. Thank you for the chance to win your really great package of blog candy. I have become a follower and linked your candy on my sidebar! I love all animals, but especially Cats! Your sweetie is very interesting. Add a link to it - Welcome to my blog. Irinka Life: РАЗНЫЕ ВКУСНОСТИI will hope for good luck. Good luck with your Blog. Wish i could get up enough nerve to do one. Oh well, one day. Wow, what a great blog and the candy is fantastic. Thanks for the chance. I became a follower and spread the word already on my blog. Oh, what a great blog and the candy is fantastic. Thanks for the chance. I linked it already on my sidebar and became a follower. My favourite animal is a turtle, but i also like cats and dogs. I read your profile and am so proud of you and all you do having been born with spina bifida. I have a daughter who was born with congenital heart defects, has had numerous heart surgeries and still spend a lot of time in the hospital or at doctor's offices. My heart goes out to you. I bet you are married to a wonderful man, too! Your blog candy has me drooling! hehe! thanks for the chance to win! Nice site! Great blog candy and I love cats! I've added a link on my blog and will become a follower ..... although it's not lettin me right now! Yummy candy! Bunnies are my fave! Linked you to my sidebar. Thanks for being so generous! thanks for the chance to win some GREAT blog candy! I've added a link to my blog. My favorite animal would be cats. Thanks for offering the lovely candy. I'll list this on my blog Here. Come join my candy that's up now too. My favorite animal is a dog, preferbly a Yorkie! Waw so gorgeous candy, lvoe to win it. I became your follower and linked you on my blog! My fav animal is tiger, love them! My favorite animal is minature dachshunds! We have 5 of them, ranging in age from 16 years old to almost 2 years old. congrats and good luck on your new website! My favorite animal are dogs and birds. I have a cute Cockatiel parrot, you can see him reading scrapbook magazine - http://www.flickr.com/photos/yifatiii/3237374840/in/set-72157603824741870/ . Thanks for the chance to win this sweetest blog candy. Congratulations on your new site. I have become your follower) & put a link+picture to your candy on my sidebar. Thanks for the chance to win so fabulous candy. Thank you for this great candy. What a lovely candy! Thanks a lot! Delish Candy!!! I'd love to win this one! What a lovely blog candy! My ˝favorite˝ animal is - I don't know maybe butterfly ! i am on you followers list. I have a cat name "Sambo", so it's got to be cats. Congrats on your new site!!! Congrats on your blog. I love my Yorkies. We have many pets in our house..5 dogs, 2 cats, 4 bearded dragons, and of course fish. I am now a follower and have linked your candy on my sidebar. Gracias por tu candy ya me inscribi y puse enlace en mi blog. Youre blog is great. I'm a cat lover and have just shared your photo from your previous post with my OH. I'll link you to my blog side bar. Good luck with your shop. cats, cats and more cats! who can resist them???? And with such a great candy I'm sure to become a follower... Thanks for the chance to win! Thank you for the chance to win yummy candy - and congratulations to you, with your new website! My favourite animal is cat. I love cats. Would love to own a ragdoll cat, but we're not allowed to have cats in the town flat where we live at the moment. But one day, I hope! We used to have cats all the time, when I grew up, on the countryside. Wow! Great candy! There's a link in my sidebar! Awesome candy!!! I will link it to my blog. Thanks for the chance. I am now a follower, I like what I could see so far of your blog and would love to come and visit some more. My favorite animal is my black kitty, Sierra. You know I love her when she pees on my shoes but I still let her sleep with me at night. Crazy tempermental cat. Wow, what a great chance at some wonderful candy. I love pandas! Wow, what tasty Blog Candy ! I very much would wish it to receive. My favorite animal is tiger. I love all animals. I guess my favorite is dogs. Sweet Sweet Candy. I am linking you now to my blog. I have signed on as a follower. Favourite animals... cats, dogs, bunnies :o). I would love to win this blog candy. I'm linking to you. Wow, what a great candy. Thanks for the chance to win. I link it on my blog and i am a follower. My favorit animal is a cat. Congratulations on your site! Have linked you. I love lots of animals but I think foxes are specially cute. Congratulations on your new blog ! Very sweet candy being offered in celebration. Lovely candy you have here. I already put your candy on my blog side bar and of course i am your follower. Thank you for this lovely offer!! Thank you for the chance to win this wonderful blog candy! My favorite animal is the furry feline..the kitty Cat of course ;-) Life is not the same without kitties! Hi Tracy, what a fabby blog and thanks for doing a giveaway. I would adore a chance to win. I got so carried away I forgot about the animal part! To stamp, I love bears and bunnies. In life I love pandas. They're just so cute and fluffy, they're adorable! Here's where I've you linked again. Love the blog and the new site. Hi, thanks for the chance to win your candy. Good luck with your blog. I oen a beautiful Labrador so I guess I should say dogs in answer to your question although I love so many different types. Wow what gorgeous candy you have on offer here, I have linked it on my sidebar for you and become a follower. Thanks for the chance to join in with the fun. My favourite animal would have to be a dog, I have 2 small Jack Russells and love them to bits they are the best company to have around as I am housebound, they brighten my days. Love the new site and would LOVE to win the beautiful blog candy. I have collected penguins for years, they are my fave, as you can see on my blog where I've just linked your candy :) Thx for the chance! Wonderful Candy! I thought I had already entered as I have had you linked for quite a while...LOL! My fave animal is a cow...they are totally cute, but as far as a domestic animal, I am a dog person all the way!! Scrummy candy thanks for chance to win . I love cats! Especially snuggly cats. I signed up to follow, great blog. Thanks for the chance of winning your candy. I've put a link on my sidebar. My favorite animals are cats too - we've got one and a half! WOW Tracey, what a fantastic blog candy!!!! Gasp! Amazing candy - thanks for the chance of winning it!